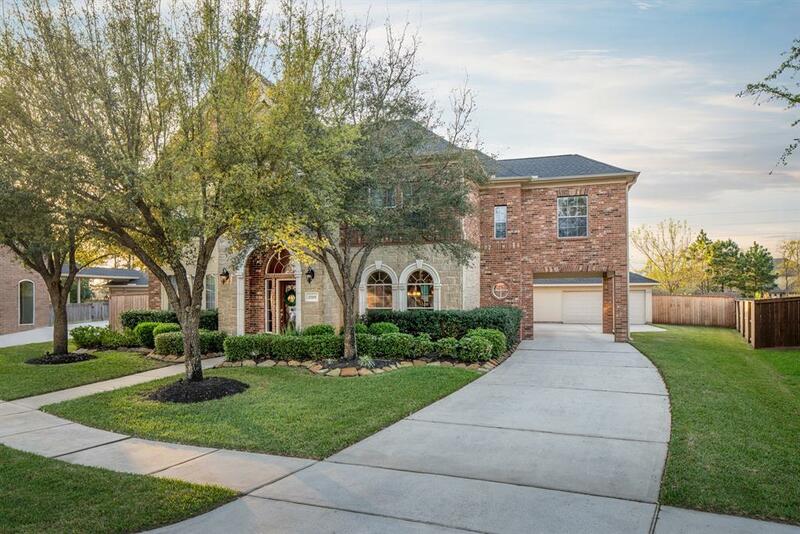 Looking for a lovely home on an oversized cul-de-sac lot in the highly desirable Dove Manor section of Gleannloch Farms? You have found THE ONE! Offered at a compelling price for such an amazing find. 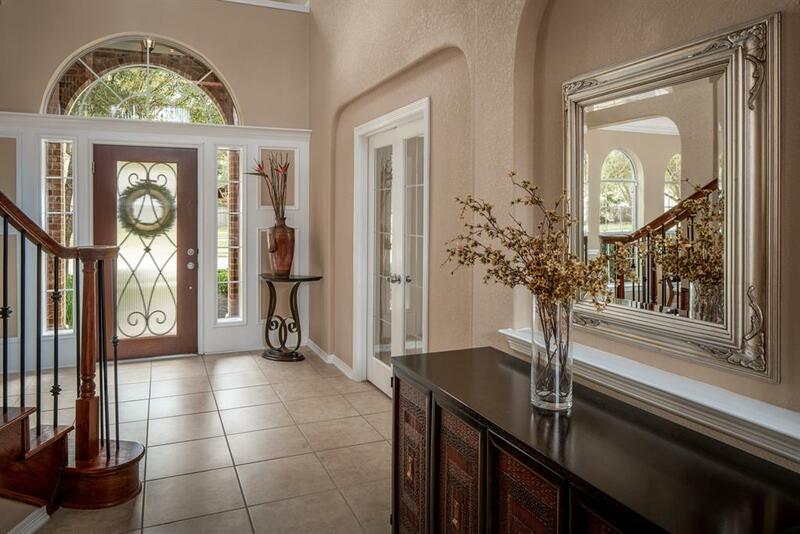 This home has been well cared for more and superbly maintained. Covered parking under the porte-cochere. Roof replaced in 2015; water heater replaced (2015); upstairs a/c unit replaced (2018), windows in family room upgraded to Anderson windows - all of which shows a great deal of attention to detail. 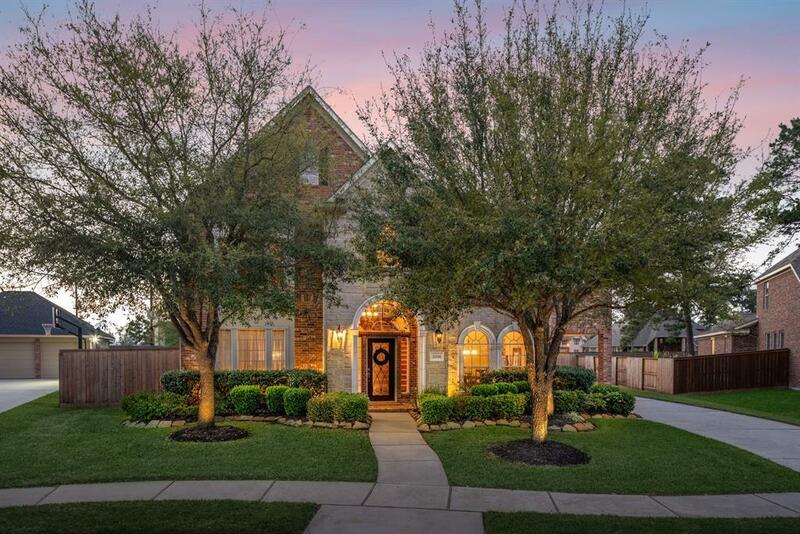 Enjoy great entertaining areas with formal dining plus butler's pantry, family room with 2-story ceilings and open kitchen/breakfast room. First floor master suite with a fabulous bath to include double vanities, jetted tub and spacious walk-in shower. 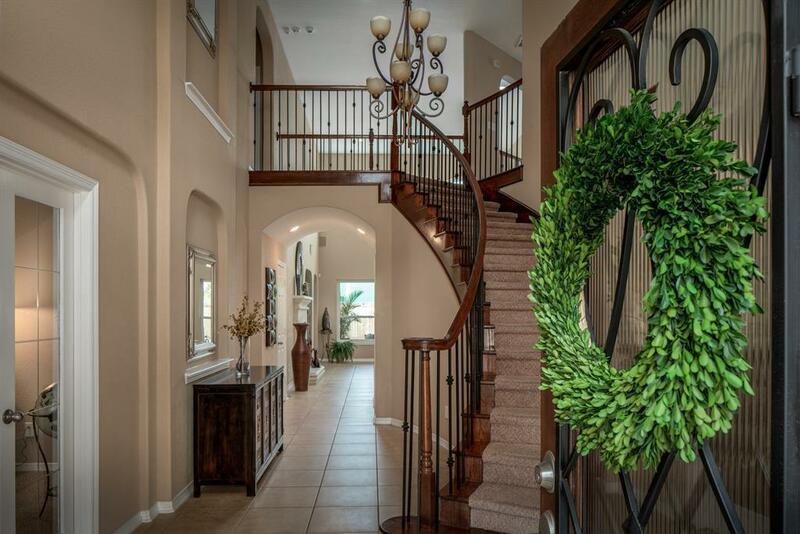 Wrought iron spindles showcase the curved staircase, leading to a game room, media room and 3 secondary bedrooms. HUGE backyard offers you the privacy of no backyard neighbors plus covered patio! Oversized 2-car garage.